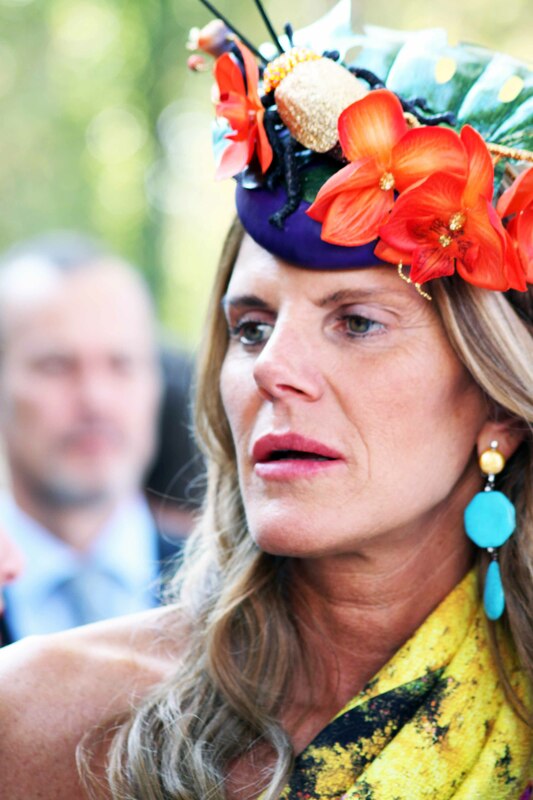 You must think I am the official stalker of Anna dello Russo, but the fact is I am a big fan, I love her style, her hability to transfrom herself through every outfit, there are all different but all make sense with her, that happens when you are confortable with yourself and know how to work that. Here she has a self-made flowered hat and an amazing Mary Katranzou dress, (one of my favorite designers). She also demonstrates that color in the fall can be simply extraordinaire.